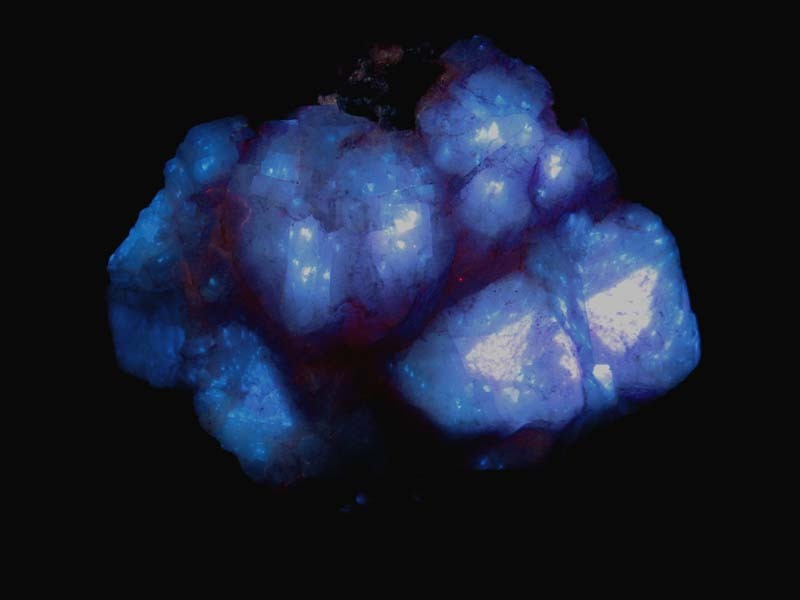 In fluorescent minerals, phosphorescence is an afterglow seen after the ultraviolet light source is turned off. One of the more famous minerals with long duration phosphorescence is calcite from the mercury mines in Terlingua, Texas. The photo shown above shows the phosphorescence in response to short wave ultraviolet. These mines are now closed and Terlingua is a ghost town, but similar Terlingua-type calcites are available from areas such as Challenger Cave in Nuevo Leon, Mexico.